We are blessed to have a great team of people who love what they do and are committed to the highest standards of decency, workmanship and integrity. We make these standards a reality by employing strict standards of conduct including random drug testing and criminal background checks, uniforms with shirt tails tucked in, and no foul language, smoking, or loud music on any jobsite. We invest in continuous training and have the latest certifications in all areas of our operation. We do this so you can be comfortable and confident of our performance when we are working on your property. Our team boasts some of the most talented people in the industry and we look forward to putting our skills to work for you. 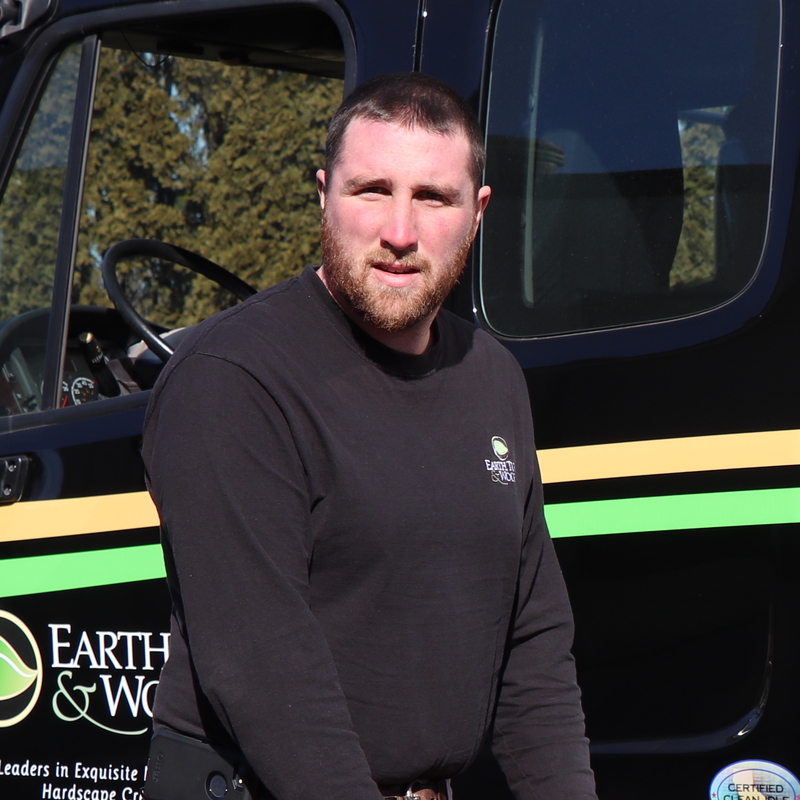 Jarod started Earth, Turf, & Wood in the spring of 2000. Getting his start with a lawn care company in his teens, his experience spans 35 years’ in the green industry. His underlying passion is to create well-thought-out outdoor living environments that help create memories for families and friends. 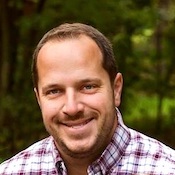 Jarod was raised in Central New Jersey, pursued Human Resource Management at Messiah College, and resides in Mohnton, PA. He enjoys spending time with his wife Kristy and their two young daughters and son. 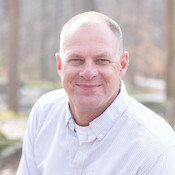 He currently serves on the board fro Fellowship of Christian Athletes. In his spare time he enjoys just being outdoors, whether vacationing in the Adirondacks, or playing with his kids. Mary Hatch Dresser is a Registered Landscape Architect with a Bachelor’s degree in Landscape Architecture from the University of Georgia School of Environmental Design. 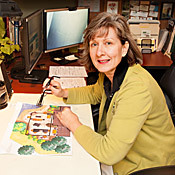 Mary has designed landscapes for 37 years and joined ETW exclusively in 2009. 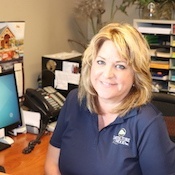 Mary is a member of the American Society of Landscape Architects (ASLA); and is also a member of the Shade Tree Committee in Strasburg Borough where she resides. Mary prides herself in carefully listening to her clients to professionally meld their ideas and personal criteria with sound, experienced design practice. Art has worked for ETW since 2005. He has an Associates Degree in Design Drafting, which is a great asset in reading plans and managing unexpected challenges that come up during projects. He enjoys working in his yard and spending time in the outdoors. He also enjoys spending time with his family, having individual time alone with each one of them on his Tuesday night date nights. He resides in New Holland, with his wife and three children. Michele joined our office staff this year in April of 2017. She has been in the administrative office field for over 20 years. In her spare time, she enjoys spending time with her husband and 2 children. She also enjoys reading, painting landscapes and her 2 Yorkshire terrier dogs. Her children’s activities and sports keep her busy when she is not working. 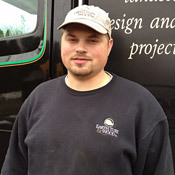 Jeremy has been in the landscape/hardscape industry for close to 15 years. He received his bachelors degree in Sport Management from York College. He is ICPI and NCMA certified. 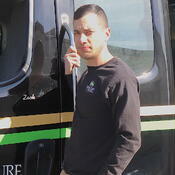 He enjoys working with clients and meeting any need that might arise during an installation. He resides in Denver with his wife, son, and dog Utley. He also enjoys watching and playing most sports, specifically baseball. Most evenings in the summer Jeremy plays slow pitch softball. Tyler grew up nearby in Hershey, PA but now lives in Lititz. He began his career in the industry performing lawn and landscape maintenance as early as age 15. Later at age 25, he took his ten years of experience and joined our team in September of 2017. His passions include working outside, archery and waterfowl hunting, professional baseball, and being an active member of his church. He has a bachelors degree in professional counseling from Lancaster Bible College. 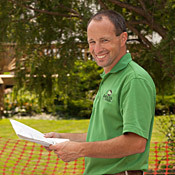 Zach has worked in the landscaping and hardscaping industry since 2013. He's passionate about his work and very detailed-oriented. Prior to this, he spent 8+ years in the Army and current serves in the Army Reserves. He resides in Lititz and enjoys spending time outdoors in his spare time.